Claire’s dedication to the emerging Spirit of humanity is the heart of her voice as host and producer for Lighted Paths Radio. She is also remembered for her LIME Radio program “It’s All Good” which aired coast to coast on Sirius XM Satellite Radio, as well as her ground-breaking work as a host and producer of “Wisdom Today” on the Wisdom Network, the very first network focusing on body, mind, spirit, and earth programming. As a co-host and co-producer on TV’s “Healthstyles” Claire was among the first pioneers to bring holistic knowledge to viewers across the nation. For over 27 years she has been appearing in film, TV and radio. 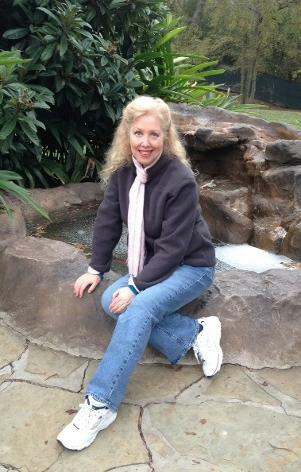 She is also the founder of Lighted Paths where she produces inspirational audio productions for those who want to share their wisdom and visionary work. As a co-host and co-producer on TV’s “Healthstyles” Claire was among the first pioneers to bring holistic knowledge to viewers across the nation. For nearly 30 years she has been featured in film, TV, and radio. 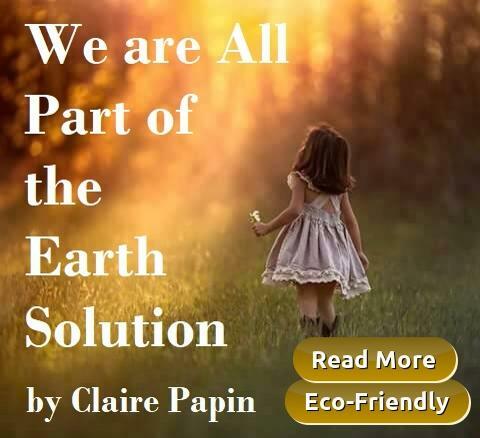 She is passionate about inspiring the human potential to reach deeper levels of stewardship for our living Earth and Universe, blended with her vision for the people of Earth to live together as a global family and reconnect in a way that nourishes us all. People from all over the world are taking part in designing more sustainable, community-based food systems, and a record number of them are starting their own vegetable and fruit gardens. 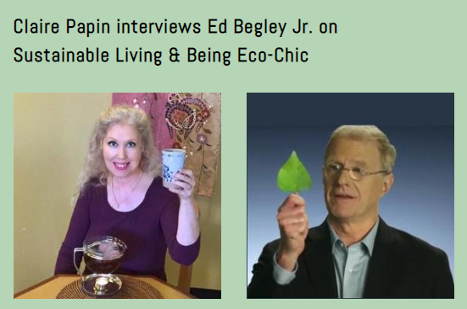 My guest Marc Cool, the seed director from Seeds of Change, shares tips on how to grow your own food; as well as how to harvest and store your seeds. 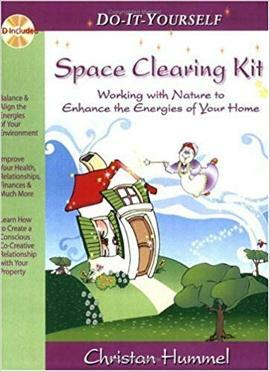 Author Christan Hummel shares simple practices for clearing the energies of your own property. Some of the topics she covers are on: • clearing distorted earth energies • contacting the spirit of the land • connecting with your Divine helpers • using sound to transform your environment ...and much more! At the end of this program you will have done an "energetic feng shui" on your own home, and learn how to have a conscious, co-creative relationship with your property. Discover these tried and true techniques developed by Christan over years of field work and international application. 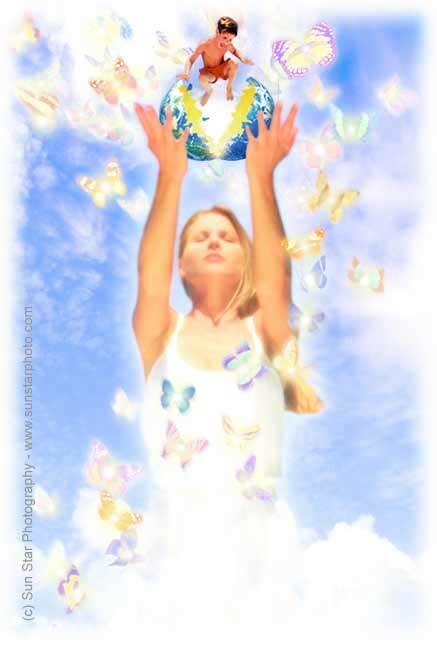 "The "Six C's of Space Clearing" will empower you to sweep out the old and make way for the new growth of Spring in your environment.As we enter into Spring, it is a time to clear out the old energies of the past to create a fresh space for the new seeds of our intentions to sprout. The start of Spring presents an opportunity to turn our attention to the new growth, new potentials, and new life beckoning, and clear out the energetic remnants lingering from the past, for a fresh new start. What better place to start than in our own homes. While feng shui and space clearing have become a multi-billion dollar industry catering to the likes of corporate CEOs as well as Hollywood celebs, there are some simple techniques that any novice can use to spring clean the energies of their home or office, in preparing the space energetically for the year ahead. These are simple spring cleaning tips that will allow you to clear your space of the vibrational imprints of the past. Although these tips are by no means comprehensive, they will provide a quick and easy way to align the energies of your environment with your intentions for the year." Read the SIx Tips for Space Clearing by Christian Hummel. 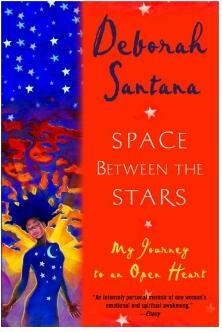 Deborah Santana is best known for her 34-year marriage to music icon Carlos Santana. At the time of this interview they were still married, but it ended shortly thereafter. As a girl growing up in San Francisco in the 1960s, daughter of a white mother and a black father–the legendary blues guitarist Saunders King–her life was charged with its own drama long before she married. Deborah shares about her early experiences with racial intolerance, her romantic involvement with musician Sly Stone, and her adventures in the freewheeling 1960s. Yet it is her spiritual awakening that is the core of this story. She speaks about love, and how it has been the determining grace through all of her challenges. Space Between the Stars is a moving account of self-discovery, rendered in raw, beautiful prose, by a woman whose heart has remained pure even in times of despair. As Deborah Santana talks frankly about her lifelong fight against racial injustice and her deep-seated loyalty to her family, ultimately it is the struggle to remain a spiritual and artistic force in her own right, that shines through as her most indomitable pursuit. Through all her challenges, it was always the Power of Love, the strength that carried her through. 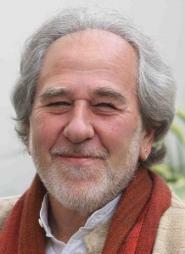 With more than 100,000 copies sold of his self-published book, The Biology of Belief, Bruce Lipton teams up with Hay House to bring his message to an even wider audience. In this interview Dr. Lipton talks about his groundbreaking work in the field of new biology, and it will forever change how you think about thinking. Through the research of Dr. Lipton and other leading-edge scientists, stunning new discoveries have been made about the interaction between your mind and body and the processes by which cells receive information. It shows that genes and DNA do not control our biology, that instead DNA is controlled by signals from outside the cell, including the energetic messages emanating from our thoughts. Using simple language, illustrations, humor, and everyday examples, he demonstrates how the new science of Epigenetics is revolutionizing our understanding of the link between mind and matter and the profound effects it has on our personal lives and the collective life of our species. 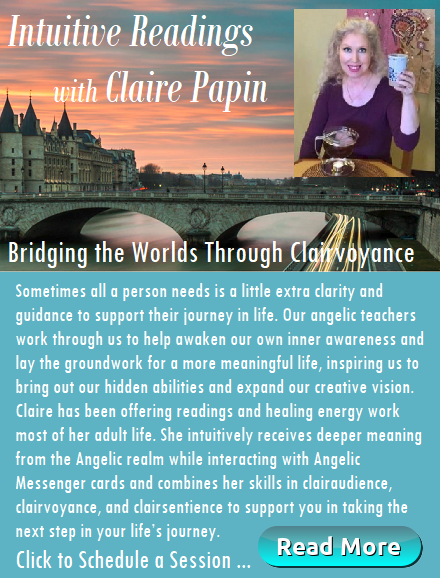 In this time of unprecedented shift that humanity is in the midst of, author Claire Papin provides inspiring stories and messages that uplift and strengthen our understanding of the Divine forces that are always in our presence and lovingly interact with us in our lives. With no religious background in her upbringing, Claire’s experiences with Mother Mary, the mother of Jesus, were not bound by any preconceived ideology. The life altering visitations led to sharing Mary’s Lullaby and Mary’s messages as a way to spark inspiration, hope, and encouragement during times of great change. 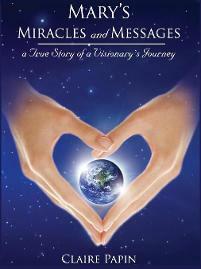 She takes us on an extraordinary spiritual journey sharing miraculous experiences that propel hearts to open more fully and awaken humanity's destiny of coming together as One unified global family. DECEMBER - Claire Papin and Carole Dean interview Dawson Church about his new book: "Mind to Matter"
About the Book:Every creation begins as a thought, from a symphony to a marriage to an ice cream cone to a rocket launch. When we have an intention, a complex chain of events begins in our brains. Thoughts travel as electrical impulses along neural pathways. When neurons fire together they wire together, creating electromagnetic fields. These fields are invisible energy, yet they influence the molecules of matter around us the way a magnet organizes iron filings. In Mind to Matter, award-winning researcher Dawson Church explains the science showing how our minds create matter. Different intentions produce different fields and different material creations. CLICK FOR CLAIRE'S MAIN RADIO SITE. Manifesting 1 2 3 - Simple Steps to Transform Your World Through Your Thoughts - Claire's interview with Catherine Lanigan, a New York Times bestselling author of nearly 40 published titles in both fiction and non-fiction, including the novelizations of Romancing the Stone, and The Jewel of the Nile. Catherine’s novels have been translated into 28 languages, and her titles have sold over 15 million copies worldwide, including DIVINE NUDGES, ANGEL WATCH, and ANGEL TALES. Rising to the Next Level of the Great Awakening, with Tashina - Claire's guest Tashina is Arcturian, as well as a Sundancer and Pipe holder. Her walk has been many years in Sacred Spaces learning, teaching, and Healing. Mt. Shasta, The Dakotas, The Cascades, The White Mountains, and the Blue Mountains have been her home. She is a History, Anthropology, and Spanish teacher. 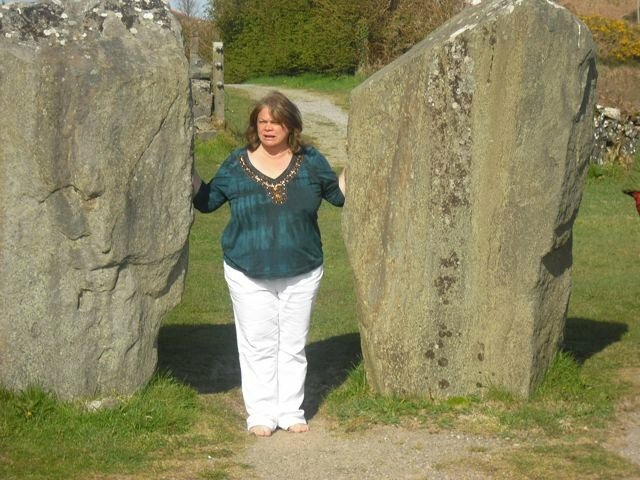 Since birth, she has been trained by Star Beings, Angels, and Spiritual guides. Animal Communication via the Heart with Dr. Laurie Moore - Claire's special guest, Dr. Laurie Moore, is a licensed LMFT therapist, certified hypnotherapist, animal communicator, and spiritual teacher. She’s the author of many books, including The Cat’s Reincarnation: Transformative Encounters with Animals and Healing and Awakening the Heart: Animal Wisdom for Humans. For two decades Dr. Laurie has assisted people and animals to transform their lives, awaken to universal love, and communicate in evolved and fulfilling ways. Manifesting 1 2 3 - Simple Steps to Transform Your World Through Your Thoughts - Claire's guest, Ken Elliott, is the author of Manifesting 123 - an Amazing book that goes beyond the current knowledge of manifesting or the law of attraction. Ken offers a fresh perspective on how thought works and the role it plays in the non-physical world before appearing in your physical world. His method is simple with profound implications. Join us in a lively and passionate discussion as Ken shares his visionary process that he, and countless others, have successfully been using in the realm of manifesting. Our Purpose on Earth, Heaven, and the Afterlife - Have you ever wondered what happens when we pass on to the "other side"? Where do we go? Is there life after death? What is heaven like? Sarina Baptista's seven-year-old son, J.T., caught the flu and passed away in March 2007, she had many questions about Heaven. Why did he have to leave? Where is he now? Is this all there is? On a mission to find her son again, Sarina researched the afterlife from every angle. She knew her son was somewhere, but where? Six months after J.T. 's passing, Sarina discovered she was a medium. Through training and determination, she had found her son and could communicate with him! The stories he told of his experiences were beyond this world. He shared with her the secrets of Heaven and how to live a life of purpose on Earth. Please join us for this intriguing discussion on life, death, and why we are here! 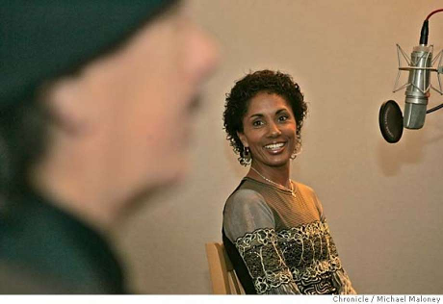 For more information about Sarina and her book "My View from Heaven," as told by J.T., visit http://www.sarinabaptista.com.